Greetings friends and fellow crafters. LeeAnn here and oh boy am I excited to bring this sneak peek to you today. This months kit is going to be so fun, and I think everyone of you out there in crafty land will enjoy it. Can you guess the theme??? Be sure to follow the Scrapping For Less Blog this week for all the sneak peeks that are coming your way. 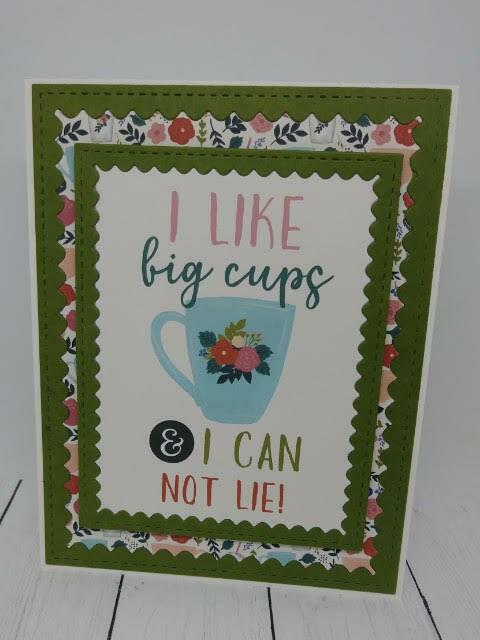 As for mine, I used paper from one of the collections, and a cut apart from the same collection to make this adorable card. So quick and easy anyone can make it. Be sure to come back Midnight Friday night for the Flavor of the Month Kit Release Blog Hop. Get yours ordered now before they sell out.